Ask Gf-Zing! – Responses | GF-Zing! Would you like to be a reviewer? Gf-Zing! would like to know which recipes are your favorites. 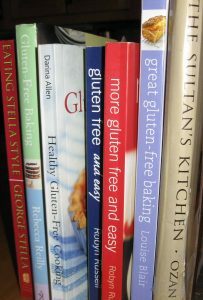 Send an email to gfzing@gmail.com to let us know which recipes you rely on, in making your gluten free meals! A helpful reader has sent an email to gfzing@gmail.com with a new link for the Spanish recipes section, since the old Recetas sin Gluten: Aptas para Celiacos was no longer working. The link has been changed. Thanks to alert readers for their assistance! When the gluten-free person makes that trip to the grocery store, they enter like a cart-horse with blinders on – seeing only the 25% of the product aisles that have gluten-free food in them. Naturally, we gravitate towards the produce section, where the vegetables are neatly sealed in gluten-free packages by their allmighty maker – not even the food industry could introduce a “solution” into a potato, or add a modified food starch to lettuce. So, we are always happy to see our colorful vegetable friends! A safe oasis of green, orange and red in a desert world of wheat. The salad course is a favorite, so we collect a variety of healthy vegetables, but then we wander over to the dressing shelf and have to get out those reading glasses to see what creepy ingredients the manufacturers have added to the products. We are ready to present to you here, on the gluten-free Gf-Zing! website, a selection of salad dressing recipes that will make your vegetables sing! 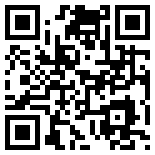 Check the Salads and Dressings link in the menu on the left for some salad dressing recipes.